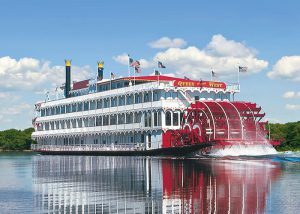 The newest fleet of small ships cruising U.S. waterways, with gracious, all-American hospitality. 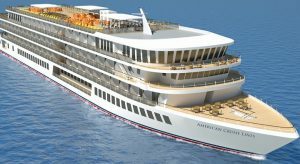 American Cruise Lines specializes in American river and small ship cruising through coveted destinations including the Mississippi River, the Pacific Northwest, Alaska's Inside Passage, the New England coast and more. Take guided excursions of Civil War battlefields, immerse yourself in antebellum culture or jazz, stroll the Pacific Northwest's tulip fields or seek out orcas, humpback whales and brown bears. Their modern fleet features a friendly American crew, eager to share the history and highlights of each destination. Ships boast spacious staterooms (including solo staterooms) with hotel-sized private bathrooms, oversized lounges and sundecks with panoramic views. 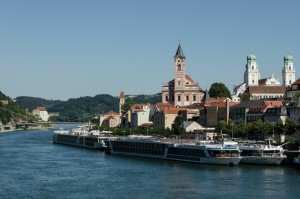 Mississippi River, New England, Pacific Northwest & Alaska, Southeast U.S.
View national treasures such as Multnomah Falls and Mount St. Helens, cruise through wine country and trace the footsteps of explorers! Many More Choices and Dates Available! *Cruise fares listed are cruise only in U.S. dollars, per person, based on double occupancy. Cruise fares listed are valid for U.S. residents only. Cruise ship fuel surcharge may apply. Sample fares are for new bookings only as of November 1, 2016, are subject to availability, are capacity-controlled and may be withdrawn at any time without prior notice.